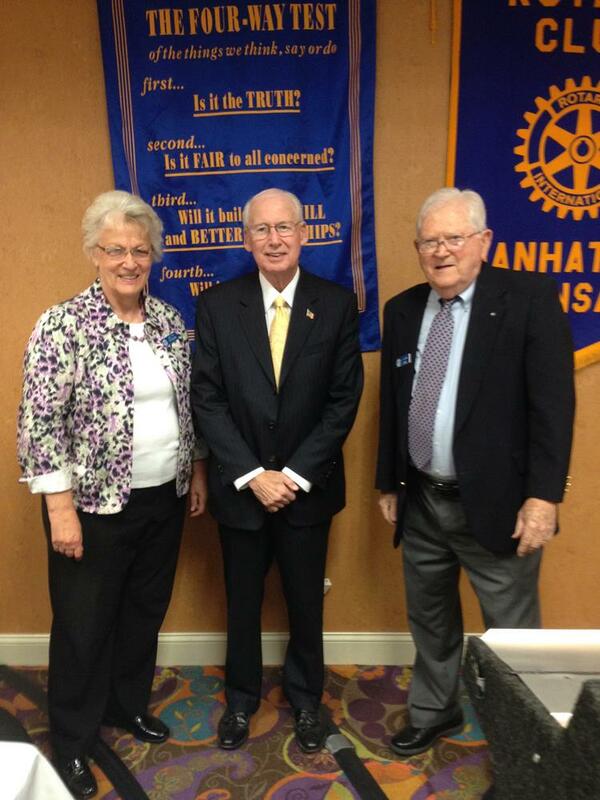 K-State Head Football Coach Bill Snyder spoke last week to a nice crowd at the weekly meeting of the Manhattan Rotary Club. He addressed such topics as the future look of the Big 12 conference, the question of Conference Championships and play-offs, and the Mentoring Program that he has been working on so devotedly at least since his first retirement in 2005. He encourages Rotarians to get involved with the Mentoring Program in Kansas as a way of giving young people a hand up into a responsible and productive adulthood.